Iolite is the gem variety of the mineral cordierite. It is frequently confused with sapphire due to its rich blue hue. 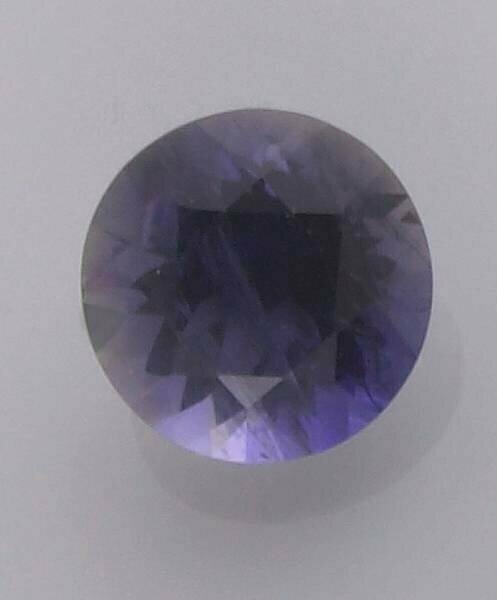 Usually the pleochroism is very pronounced in iolite and three different colors can be seen in the same stone—violet blue, gray and a lighter blue can be seen depending on the angle of sight. The present example is a large, circular-cut stone which shows such characteristic pleochroism in blue, violet and gray.